When it comes to machinery moving, Redmond and Associates do it all! 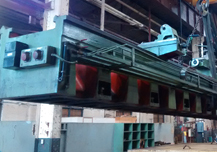 We do single moves, full plant relocation, movement of new and used machinery, teardown and reassembly. Redmond and Associates provides transportation services throughout North America. We provide truckload, LTL, over-dimensional and multi-load services, as well as pickup and delivery of overseas shipments. Redmond and Associates operate out of a 35,000 square foot warehouse, equipped with ground level and dock level access, as well as overhead cranes. We provide our customers with short term storage options and stop over services. Machinery Moving & Millwrighting We pick up your machines (no matter the size) and move them to their desired location. 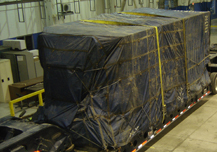 Plant Relocation We understand that a plant relocation is a large undertaking, and stressful for our clients. Specialized Transportation We provide truckload, LTL, over-dimensional and multi-load services, as well as pickup and delivery of overseas shipments. Warehousing At Redmond and Associates we realize that our clients all have unique warehousing needs and we are able to work with them to provide the best and most economical storage options for them. Auction Removal Services We know that machinery removal from auction sites can cause a high amount of stress for both the buyers and the sellers. 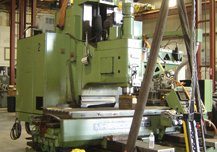 At Redmond & Associates we specialize in professional and efficient industrial machinery moving. We have been providing quality, dependable machinery moving services within North America since 1996. 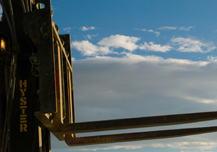 At Redmond & Associates we offer a wide variety of services for your machinery moving needs. Some of these services include single moves, plant relocation, specialized transportation, custom clearance, overseas packaging, warehousing and auction removal services. We aim to provide our customers with a worry free experience every time, by handling the entire moving process in house (including the teardown and reassembly, where required). In choosing Redmond & Associates, you can be sure that you are hiring a reliable and efficient machinery moving company whose ultimate goal is to leave their customers completely satisfied. Hire Redmond & Associates Today!